Nový stereo zesilovač Yamaha A-S701 - extrémně puristická kvalita zvuku a vynikající výkon zesilovače. 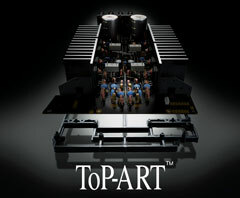 ToP-ART (Total Purity Audio Reproduction Technology) a vysoce kvalitní součástky. I/O (vstup/výstup) Přímý symetrický design. ART (Anti-Resolution and Tough) základna. Speciálně vyráběné výkonové transformátory / 12,000uF blokové kapacitory / Hliníkové vytlačované chladiče. Výkon 160W x 2 (max), 100W x 2 (RMS). Režim Pure Direct pro větší čistotu zvuku. Pozlacené konektory. Digitální audio vstupy pro TV nebo Blu-ray přehrávač. Možnost připojení YBA-11 Bluetooth bezdrátového adaptéru. Jednoduchý ale sofistikovaný design (hliníkový přední panel a knoby). Auto Power Standby. 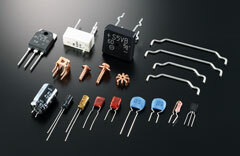 Yamaha, with a long history of over 125 years as a musical instrument maker, also has a high reputation for HiFi components. The A-S701 is created by taking advantage of this rich experience and high technological expertise. Based on the concept of “Natural Sound”, for reproducing all music as it really sounds, and built with scrupulous care from circuit design to basic sound production, even though an entry model it reproduces high sound quality and musically rich sound. The A-S701 also feature a new analogue loudness control on the front panel that uses electronic volume for higher sound quality, which lets you adjust the loudness effect as desired. Separate from the overall volume, this controls the balance of the low- and high- frequency sounds, providing full tonal range at any volume level, compensating for the natural loss in the human ear of high and low frequencies at soft levels. The A-S701 is equipped for digital audio input with both optical and coaxial terminals. 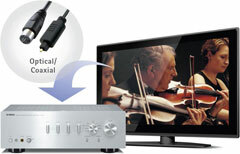 The optical is for receiving audio from a TV, and the coaxial for receiving audio from a Blu-ray player. The audio stays in the digital domain, giving you pure, pristine dynamic sound for all your entertainment sources, from sports and other programmes to movies and concerts. With a beautifully simple and unique design inherited directly from Yamaha’s HiFi audio components, this amplifier also boast an easy-to-operate button layout. The aluminium front panel has a richly textured silver hairline finish. The control knobs are also of the same luxurious construction as used on our top-end models.